Each year Warren Buffett publishes an annual letter for Berkshire Hathaway shareholders. He is remarkably candid and this year is no exception. In addition to recapping company performance, Mr. Buffett offers advice that’s very useful to anyone who invests—whether they contribute $100 a month to a 401(k) or have millions in assets. He recommends low-cost index funds also known as passive investing over actively managed funds. Interestingly enough, he says his “friends who possess only modest means” follow his suggestions. He believes none of the mega-rich individuals, institutions or pension funds follow his advice because they instead “listen to the siren song of a high-fee manager”. 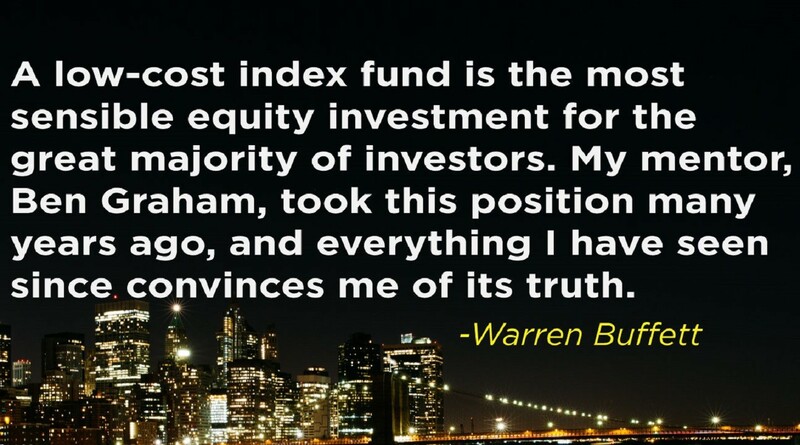 I proudly work for a financial advisory firm that agrees with Warren Buffett and we are baffled as to why many of our fellow advisors don’t. Perhaps it’s because we are Fiduciaries and feel low-cost passive investments are in our clients’ best interest. However, “investment” advice is just part of a larger puzzle. There are many other important things to consider if you want to meet your financial goals. To correctly prepare for retirement or any other goal that requires funds you must consider your overall financial situation—not just your investments. The problem is that most people tend to get overwhelmed or don’t have the time or knowledge to properly organize and manage all their finances. As a result, they can end up paying too much in fees or interest on a loan, pick the wrong insurance, don’t have enough saved in an emergency fund, or worst of all, run out of money when they need it most. By the way, Warren Buffett’s advice is mostly right, but overly simplistic. Your investments much match your financial situation. Someone who needs to start living off their investments in two years’ time should have a very different portfolio than someone who has 20 or more years before retirement. Whatever your stage in life, passive investing is an excellent tactic for retirement planning and meeting other short and long term goals.